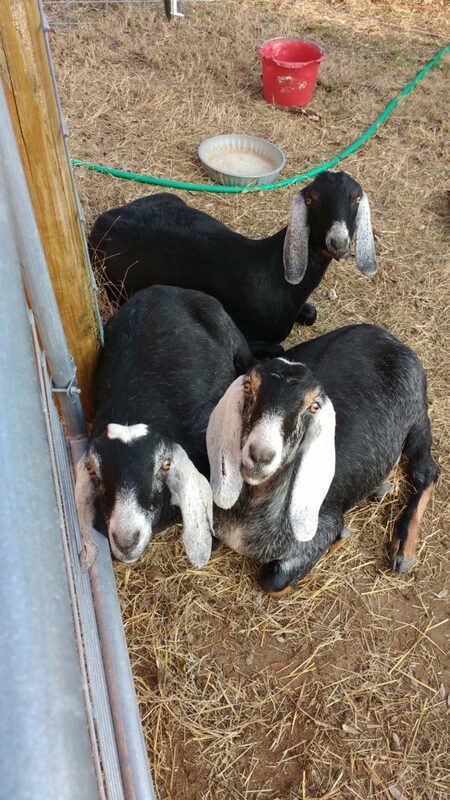 Sure they seem cute and innocent with their sweet maas and soulful eyes. They are also great at making up when they’ve wronged you. So you forgive them. Until they escape again and eat your prettiest rose bush. 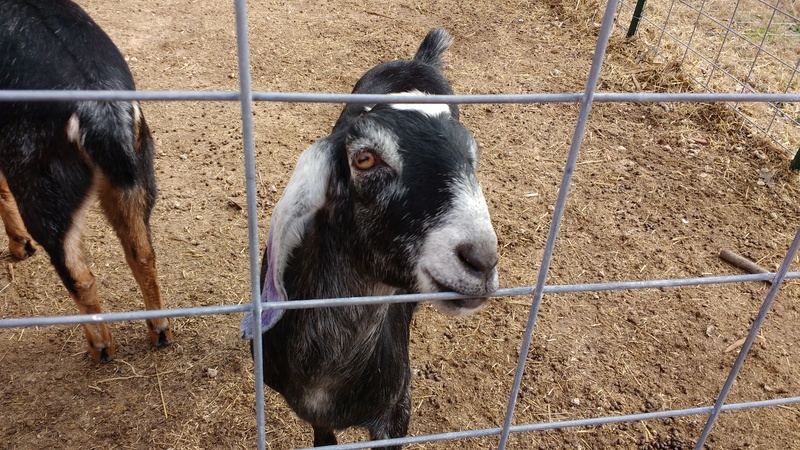 Our favorite goat, Skye, has become a master escapegoat. We searched the electric fence for the weak spot. We shocked the bejeezus out of ourselves testing the electric flow. The thing about electric fences? You have to be grounded for the shock to work. Skye jumps through the middle of the fence. All four hooves are off the ground at the same time. No shock. She never goes anywhere. 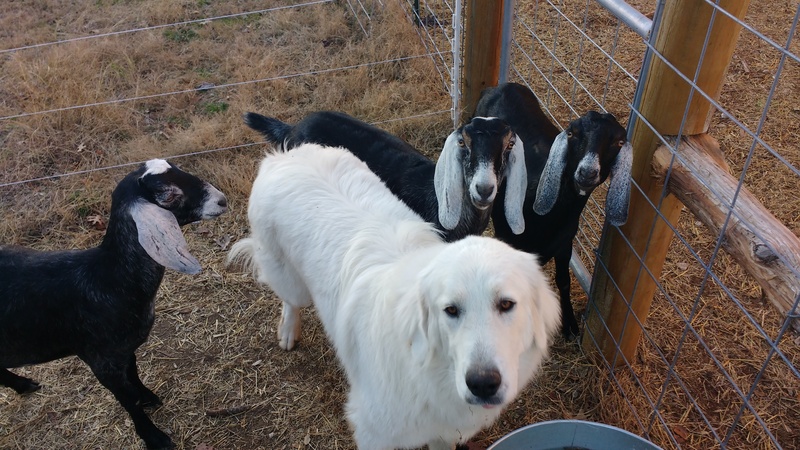 She just eats the greener grass on the other side of the fence from her herd, driving them and her livestock guardian dog, Thor, crazy. Her herdmates, Iona and Vaila, are usually the ones who alert us to Skye’s trechery. They sound the alarm that the insubordinate has breeched the perimeter. Again. One of us walks out to the barn with a grateful Skye running, ears-flopping-in-the-wind-style, to meet us and follow us back into her pen. Why does she escape when all she wants is to get back into the goat yard? 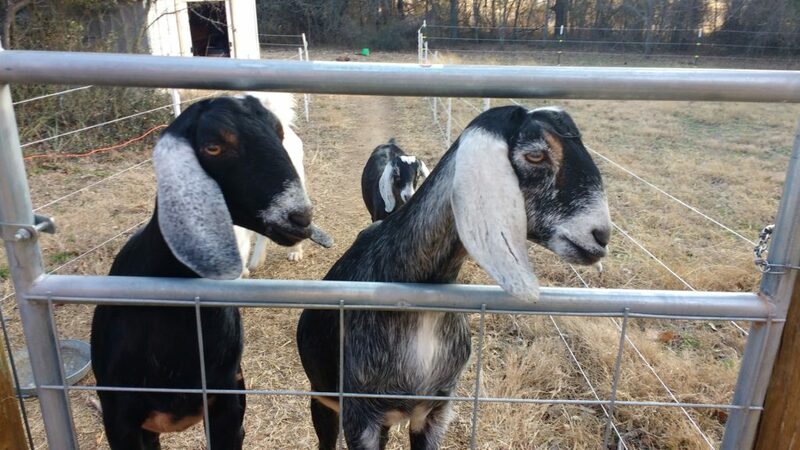 Goats are as curious as cats without all the supernatural balance working in their favor. We try to be mad at her but she is so darn cute. And friendly. She is the first one to greet you, the first one line up for a rub down. Thor and his goats. Don’t let the picture fool you. He’s enormous, more like a baby polar bear.